Ribbed Knit Sweater (love this quality one from Madewell! ): Thrifted. Brown Crossbody (very similar suede one for $39! ): Thrifted. Tassel Loafers (very similar): Thrifted. Tan Coat: (identical from ASOS) Forever21. Lipstick in Wet N Wild Mega Last Lipstick Rose Bud. 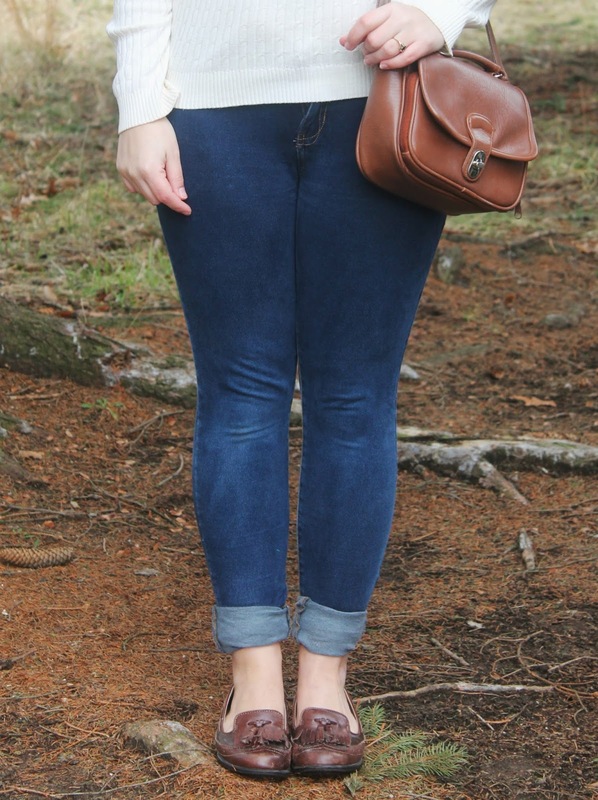 Sharing a simple but put together look I wore on Sunday. As I've grown older, I've begun garnering more basics for my wardrobe instead of stand out pieces. Classics feel so good to rely back on. Every element in my outfit is a tried and true favorite, mixing well with my more eccentric wardrobe pieces. I have a feeling when I move to NYC this summer my style will become more or less a variation of this classic outfit. There's only so much closet room in those shoe box sized apartments! First, I love the simple elegant pieces you're wearing here. 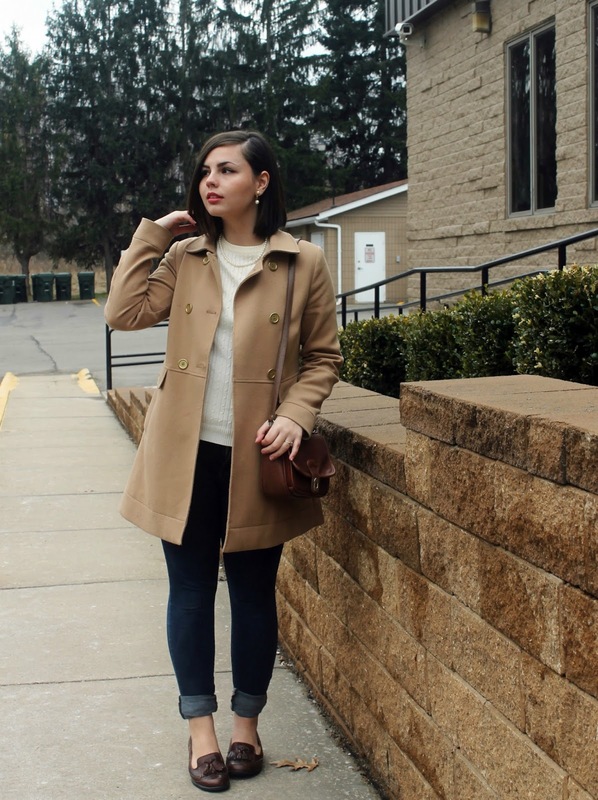 You can never go wrong with a tan peacoat. Never. Second, I'm proud of you for not giving up on your dreams. Never do that. Of course there will be challenges and obstacles, but that makes the end result that much more sweet. Very classy! Those jeggings look comfy, and I love the coat. Hope your NYC quest goes well! Keep going! Simplistic, and cute! I love it. classy + classic. love it. Love this look sooo much and totally dying over those shoes!! I love basic looks, in all honesty I think they're my favourite.